Doppelgangers have spawned hundreds of rumors and stories. What adventurer doesn’t have a tale about the time he fought a doppelganger assassin, stopped one from impersonating the duke, or was surprised by a doppelganger disguised as his friend? But these accounts leave many questions unanswered. This excerpt from the Complete Guide to Doppelgangers, recently released by Goodman Games, helps answer a few of those questions. When people think of the doppelganger, it is the urban doppelganger that comes to mind. The urban subspecies has adapted to interact with sentient humanoids. Urban doppelgangers can read human thoughts and assume human form. Adventurers think of them as treacherous thieves and assassins. But few consider the questions that linger around these shapechangers. Where are their communities? What do they do when they aren’t involved in sinister schemes? Why do they accept mercenary work from humans? What do they do with the money from these jobs? And how do people contact them in the first place? The answers are as simple as they are disturbing. The cities of the urban doppelgangers are hidden in plain sight – you could be standing in one right now. Any number of people walking around you might actually be doppelgangers. And it’s not just the people. Mimics can take the shape of any sort of inanimate object. Urban doppelstadte assume the forms of buildings. Over time, urban doppelgangers slowly replace everything in their environment with their own kind. At the end there is a village or city that appears to be completely normal – but which is actually 100% Doppelganger, from the people on the streets to the streets themselves. Most adventurers are familiar with the natural appearance of these creatures and their talent for impersonating humanoids. But few people realize how many doppelgangers they encounter on a daily basis. Urban doppelgangers can be blacksmiths, innkeepers, guardsmen, priests, prostitutes, or members of any other profession. While some doppelgangers hold key positions throughout a city, the bulk of a doppelganger colony will be concentrated in a certain part of town; if an innkeeper is a doppelganger the odds are good that the barmaid and cook are as well, and it’s possible that the inn itself is a doppelstadt. Whether they live in a Doppelganger neighborhood or some other part of town, most of these creatures live seemingly normal human lives. Of course, there is more to the “normal” life of an urban doppelganger than meets the eye. Doppelgangers are constantly engaged in mental communication with others of their kind. They also examine the thoughts of humanoids in the area, looking for information about current events or opportunities for the gestalt. This is much like television for doppelgangers; some become interested in the lives of local humans and will go out of their way to follow up on their favorite characters. 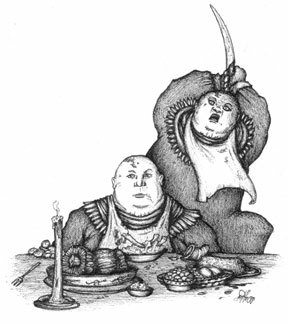 Doppelgangers also perform a variety of tasks to maintain the colony, like acquiring food for the mimics and doppelstadte. Doppelgangers only require four hours of trance per day; this gives them extra time for these tasks. Unless a position requires specific skills, urban doppelgangers will not become attached to any single human identity. Say the local colony is based out of a doppelstadt that has taken the form of the Ironbelly Inn. The proprietor is Fat Stephen, and Tara sees to the needs of the guests. However, there may be six different doppelgangers who take turns being Stephen, Tara, the stableboy, and assorted guests; these roles could shift on an hourly basis, if switching identities served some useful purpose. Human forms are like clothes to a doppelganger – you wear what suits the needs of the moment. If a doppelganger is engaging in nefarious activities it will shift away from any form that could be traced back to the gestalt, just as a burglar might wear a mask and a set of drab clothes. Urban mimics spend most of their time in deep contemplation, seeking to attain the state of mental clarity required to merge with a doppelstadt. Occasionally they will be called on to assist the local community as guards or assassins – but for the most part they are left alone. Urban mimics generally assume the form of furnishings in a doppelstadt or a building owned by doppelgangers. The wardrobes or beds in a doppelganger inn might be mimics. 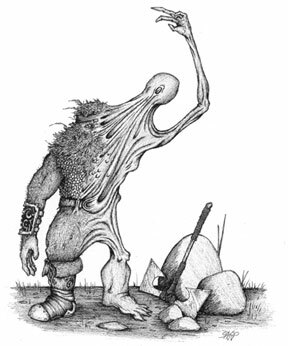 When doppelgangers are raising a new doppelstadte, they will disguise their actions as construction; the mimics involved will take the form of lumber or other building materials. Often a solid façade will be constructed, and the new doppelstadt will use this frame as a crutch and cloak to conceal its initial growth. For the most part, there is nothing about a doppelstadt to reveal its true nature. The walls of a doppelstadt feel just like wood or stone. The strangest sections of a doppelstadt – the memory wells and spawning chambers – are kept hidden below the surface, concealed behind secret doors or sealed off completely; in these instances, force may be the only way to get to the hidden chamber. While it takes the creature a long time to actually alter its form, it can play standard haunted house tricks – slamming doors, closing windows, bleeding from walls – but it would be unusual for a doppelstadt to call attention to itself in this way. Of all the urban Doppelgangers, doppelstadte are the least human and the most disturbing. A doppelstadt may have been around for centuries. It may be in mental contact with dozens of minds; through mental communion, it can reach around the world for information or to access the memories of other Doppelgangers. 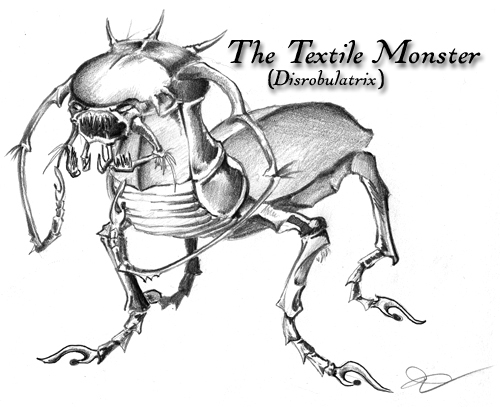 Generally the creature will speak through a doppelganger or mimic, but it can create a mouthpiece out of its own structure. This could be a giant stone head, an enormous mannequin on a throne, or a mirrored wall, in which the reflections of the adventurers move and act of their own accord. Urban Doppelgangers interact with humanoids on a daily basis – and the majority of these encounters are completely unremarkable. The doppelganger innkeeper may spy on the thoughts of his human customers, but he’ll serve them drinks just the same. Doppelganger expansion is dependent on the mimic population and cannot be hurried, so generally there is no reason for a doppelganger to come into conflict with other humanoids. Of course, there are always exceptions; a few of these are described below. If the local government has influence over construction, zoning, or city maintenance, doppelgangers will work to seize control of these offices. Doppelgangers will also infiltrate any sort of established construction firm – the guild of stonemasons, carpenter’s association, or the like. Doppelgangers will identify other groups working to gather intelligence within a city – spy networks, city guards, thieves, etc. The doppelgangers will infiltrate these groups, but will rarely seize control of them. The doppelgangers want be in a position to know what is going on, and to assassinate and replace leaders if necessary. But in general they don’t want the hassle of managing an organization. If a colony identifies an organization that poses a clear threat to their expansion, they will quickly move to eliminate the opposition. With their talent for disguise and ability to uncover secrets, doppelgangers are masters of “let’s you and he fight.” If a thieves’ guild was causing a problem, a doppelganger could impersonate a member of the guild and use this form to expose their activities to the local authorities or other enemies. As far as the thieves are concerned, one of their own was at fault. When Doppelgangers are ready to expand into a new part of a city, they will ruthlessly eliminate and replace a group of people in the target area. The doppelgangers may cause general unrest in a city, in order to draw attention to neighborhoods far from the doppelstadte. Finally, there is work for hire. Doppelgangers always conceal their true numbers. The doppelstadte will pick a human – often a local thief – to be their agent; a doppelganger will approach this individual and make an offer. They will imply that there are only two or three doppelgangers in the city. If the agent obtains work for the doppelgangers, he will receive a commission for his trouble. He cannot lead other people to the doppelgangers, because he doesn’t know where to find them; they keep an eye on his thoughts and come to him when a job looks appealing. Doppelgangers typically take a job for one of two reasons: because they want gold or because the end result furthers their own agenda. Gold is most important when doppelgangers are starting new colonies. Within a current city, doppelgangers are always happy to see humanoids fighting amongst themselves. If two rival guilds are at war, the doppelgangers may help both of them; the weaker the humanoids are, the easier it will be to replace them completely when the time comes. Urban doppelgangers have hidden among humanity for centuries. They are masters of subterfuge, and are willing to make sacrifices to achieve long-term goals. If a Doppelganger community is about to undertake a critical action, they may sacrifice a few younger doppelgangers in an over-the-top scheme that is doomed to failure. This serves many purposes. It focuses attention on an area far from where the Doppelgangers are actually striking. It makes them appear to be disorganized loners, incapable of the precise organization that characterizes their true operations. A botch can also serve to set up conflict between two groups that the Doppelgangers want weakened. For example, if a powerful merchant family hires a doppelganger to assassinate a rival and the doppelganger fails and allows the path to be traced back to its employers, it may trigger an open conflict between the two clans that will ultimately destroy both of them. Botches are typically extremely colorful schemes – replacing rulers or merchant lords, assassinating public figures, or similar eye-catching events. The goal is to keep people from noticing the important activity. A pair of doppelgangers replacing the king – that’s exciting. Four doppelgangers replacing the family of the senior stonemason on the Street of Lead – why would someone ever worry about this happening? Another common tactic is the use of scapegoats. This practice is based on the shapeshifting abilities of the doppelganger and the channeling powers of the Avatars. Scapegoats are personalities that are created to give the public an enemy to worry about – a bandit king, a colorful master thief, a sinister wizard, a fiendish killer. These individuals appear to be human and to have mundane motives, and draw attention away from the actual work of the Doppelgangers. A gestalt can spend decades developing a particular set of skills for an individual; this skill set can then be distributed and stored in memory wells, allowing the villain to appear in any location that has a suitable Avatar. Scapegoats will work with humanoids as opposed to other doppelgangers; the purpose of the scapegoat is to draw attention away from the gestalt. Doppelgangers can assume any humanoid form; as a result, a powerful hobgoblin leader who brings multiple clans together could easily be a doppelganger, using its cunning and telepathy to maintain a goblinoid alliance that an actual hobgoblin could never hold together. Within a campaign, scapegoats make excellent recurring characters. No matter how many times they are defeated, they always turn up again. The moment when the villain is finally revealed to be a doppelganger can be a dramatic scene – and once the secret is revealed, can the party hunt down the memory wells containing the villain’s essence, to destroy him once and for all? Major cities attract all kinds of creatures. Many terrors lurk in the shadows, and the greatest threats to doppelganger expansion are rarely human. Wererats scheme in the sewers. Yuan-ti, dark elves, or vampire clans may have their own plans for the city. Powerful and deadly, these creatures can pose major obstacles for a gestalt. And with their telepathic powers, doppelgangers are in a unique position to spot these beings and uncover their plans. A seemingly normal human may ask a party for help. The innkeeper believes that vampires killed his daughter. She was last seen in the Temple district, in the company of Devon Blackchapel. The innkeeper couldn’t possible cross the Blackchapel family – but would these bold heroes investigate his daughter’s death? The “innkeeper” might even have a “daughter” who HAS vanished; the doppelgangers could easily set up the entire situation. The heroes may catch a few of the schemers red-handed. 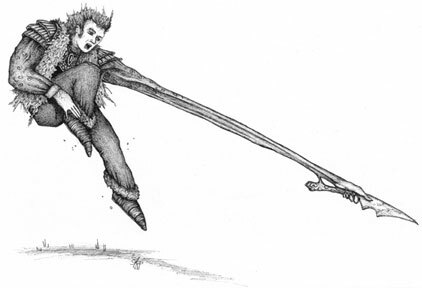 Doppelgangers can mimic the forms of any of the creatures mentioned above. The doppelgangers could actually fake an attack, theft, or murder attempt to give the heroes a personal stake in the matter. Doppelgangers can also use this tactic to get the local law involved, or to set two secretive groups against one another – why not get the yuan-ti to fight the wererats? While this is going on, the doppelgangers will sit back and watch; if necessary, they will intervene with anonymous information – but they will do their best to remain out of any sort of open conflict. When urban doppelgangers move into a new area, they will take over a single building. While a gestalt going through hard times may kill and replace a number of existing inhabitants, common practice is to purchase a building with gold and set up some sort of business, with mimics being shipped in as “trade goods”. This gives the doppelgangers an opportunity to study the area; as newcomers any strange behavior or lack of knowledge will generally be dismissed. Half of the settlers will pose as travelers or otherwise stay out the public eye. The next step is to pick an area to serve as the focal point for the new colony. Some gestalts operate out of the worst areas of town; others prefer quiet residential areas. Once a location has been selected the hidden doppelgangers will move in. By this point they will have gathered all of the knowledge they need for an effective long-term impersonation. Construction of a doppelstadt will begin immediately. Soon additional doppelgangers will arrive; they will eliminate and replace the population around the doppelstadt, slowly creating a buffer zone between the doppelstadt and the human population. From this point on, growth is limited by the number of mimics ready to become doppelstadte. Urban doppelgangers rarely expand too far beyond the area of the doppelstadte. It becomes a waiting game, with doppelgangers taking care of the meditating mimics and looking for the opportunity to expand an existing doppelstadt or to create a new one. When that time comes, they will expand the perimeter around the doppelstadt, killing and replacing the humanoid inhabitants with doppelgangers. If their progress is unchecked, a community of doppelgangers can eventually replace an entire urban center. So what is it like inside a living city? Doppelgangers don’t need to speak to communicate with one another. While living among humanoids, they get used to speaking; but those who spend years in an area that has been fully subsumed may fall out of the habit. Visitors may notice that the villagers are unusually quiet, and seem to respond to one another without speaking. Given this telepathic bond, it is almost impossible to infiltrate a doppelganger community. It would require some sort of mental shield, and even then the invader would stand out because the doppelgangers WOULDN’T know what he was thinking. Doppelgangers rarely attack visitors. But they will try to encourage outsiders to move on. Remember that doppelgangers are cunning manipulators and telepaths. A doppelganger innkeeper won’t just give a visitor the cold shoulder. He will be friendly, inquire about her business, and read her thoughts to find out the true story, then determine the best way to get her out of town. In some cases, doppelgangers may even be helpful. Say an adventurer comes to a doppelganger village in search of a fugitive. There’s no reason for the doppelgangers NOT to help her, unless the fugitive is a doppelganger in disguise. Doppelgangers are omnivorous. They need to maintain a certain amount of mass, but they can ingest a wide variety of substances. In converted settlements, urban doppelgangers usually focus on crops as opposed to livestock; when possible they prefer to have an environment that is free of the mental emanations of other creatures, even animals. Visitors may find the lack of livestock to be odd for a farming community, and a doppelganger inn will have a limited menu. Likewise, doppelgangers can’t get drunk; they will keep a supply of ale on hand for visiting humans, but the selection of beverages will be limited. Like the humanoids they impersonate, urban doppelgangers follow many different paths. Rogues gather information and serve as assassins when the time comes for a purge. Fighters provide a solid line of defense for the doppelstadte. Geistspeaker clerics provide guidance and healing. As a general rule, a gestalt will possess either sorcerers or wizards, but not both. Doppelganger spellcasters focus on illusion, enchantment, and abjuration. Abjuration spells are used to shield the community from magical detection, while illusion magic and shapeshifting powers can make a doppelganger illusionist a truly surreal opponent. Monks are rarely found in doppelganger colonies; the protean warrior (a new class described in the Complete Guide to Doppelgangers) fills this role. Paladins, druids, rangers, and barbarians are equally uncommon. The mental abilities of the Doppelganger are derived from magic as opposed to being psionic powers. As a result, psions and psionic warriors are no more common among Doppelgangers than they are among humans. 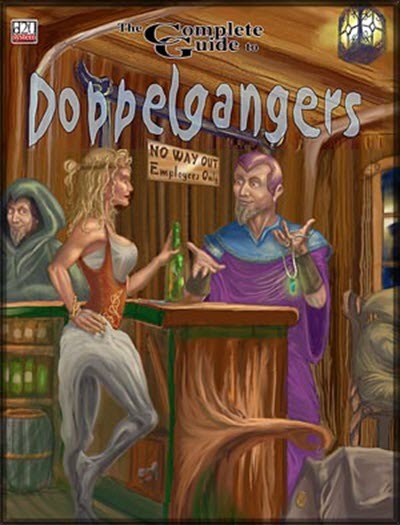 For more information on the Complete Guide to Doppelgangers, visit www.goodman-games.com.